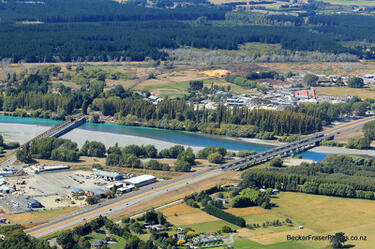 An aerial photograph of the Christchurch Northern Motorway bridge crossing the Waimakariri River. 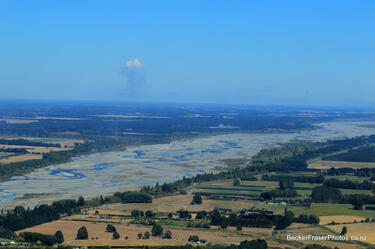 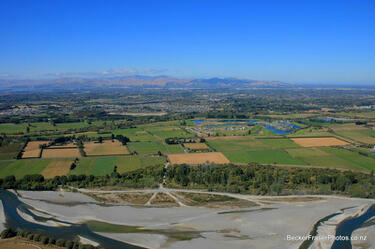 An aerial photo looking south over Christchurch from the Waimakariri River. 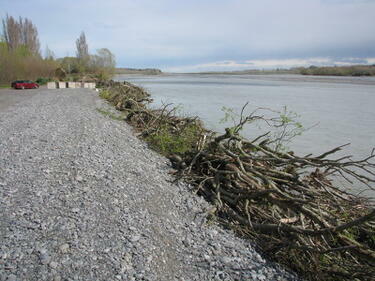 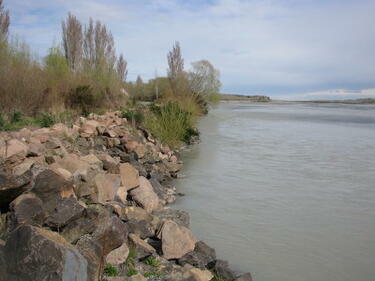 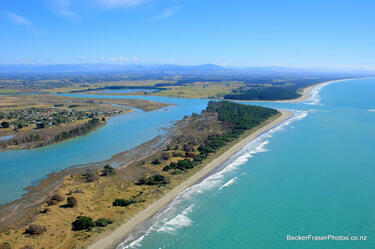 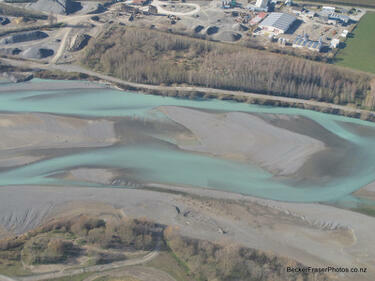 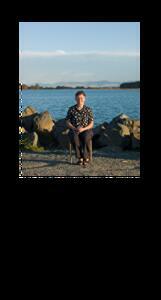 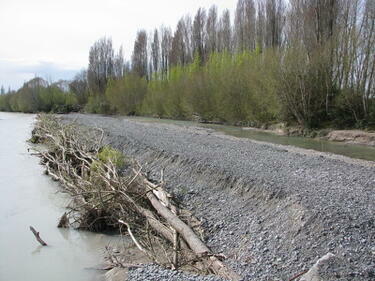 Photograph captioned by BeckerFraserPhotos, "Waimakariri River".